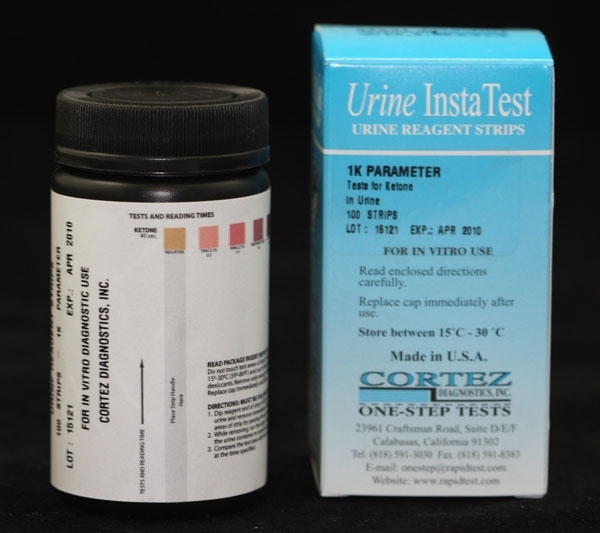 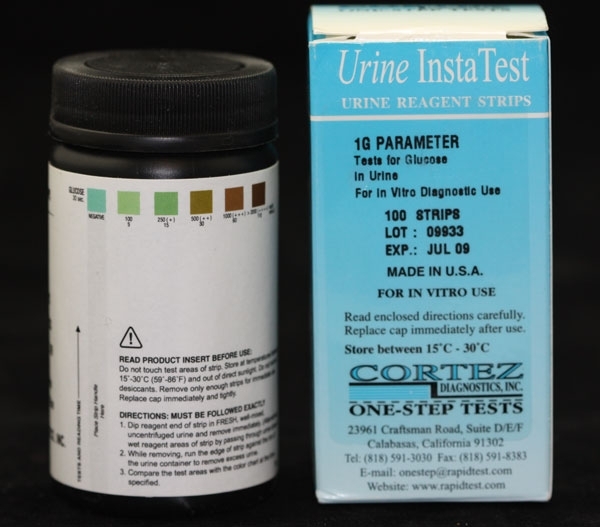 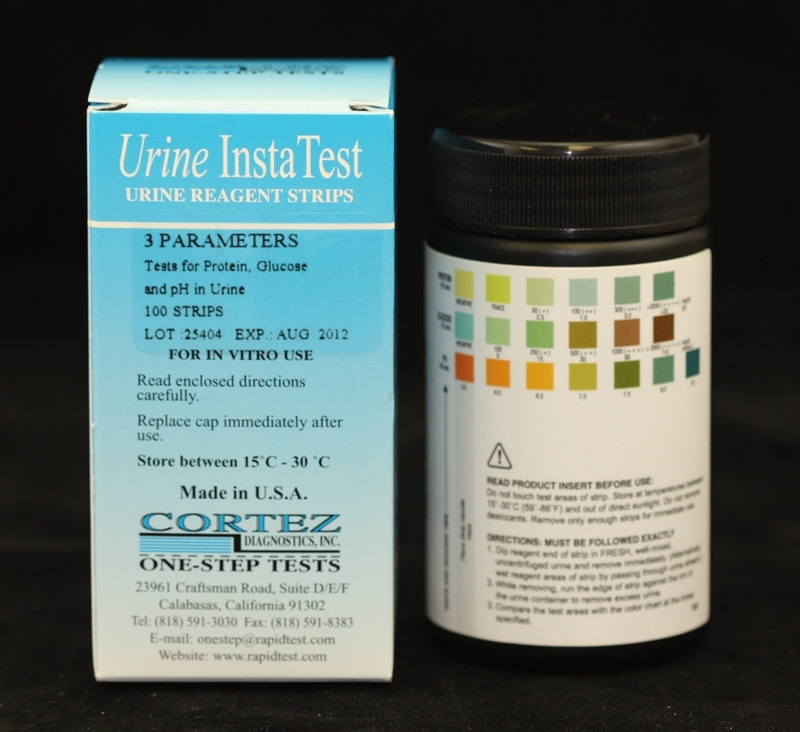 Los Angeles-based Diagnostic Automation/Cortez Diagnostics, Inc. offers a Urine Reagent Strip (Urobilinogen-Blood-Ketone-Glucose-Protein-pH-Bilirubin-Nitrite-SG-Leukocytes-Ascorbic Acid) Rapid Test for the semi-quantitative and qualitative detection of Urobilinogen, Blood, Ketone, Glucose, Protein, pH, Bilirubin, Nitrite, Specific Gravity, Leukocytes, and Ascorbic Acid in urine.Â The Urine Reagent Strip for Urinalysis is for in-vitro diagnostic use only. 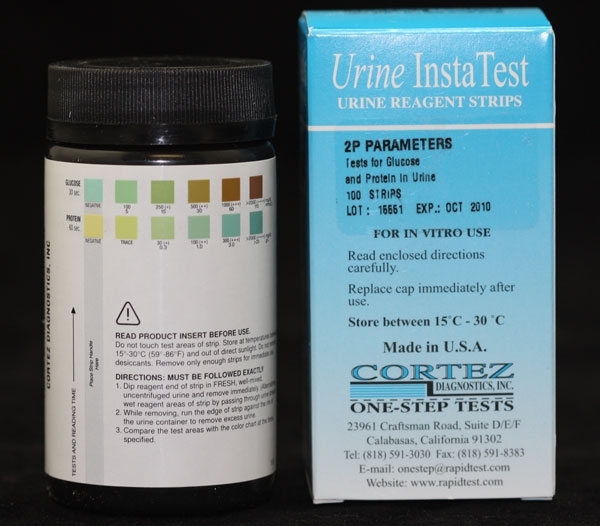 The Urine Reagent Strip (Ascorbic Acid) Rapid Test is based on the action of a complex chelating agent with a polyvalent metal ion in its higher state and an indicator dye that can react with the metal ion in its lower state to produce a color change from blue-green to yellow.Â The test can detect ascorbic acid in concentrations as low as 10 mg/dl in urine. 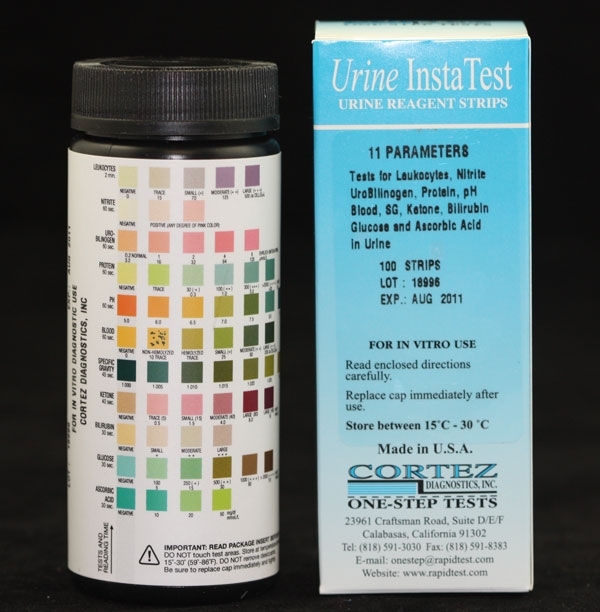 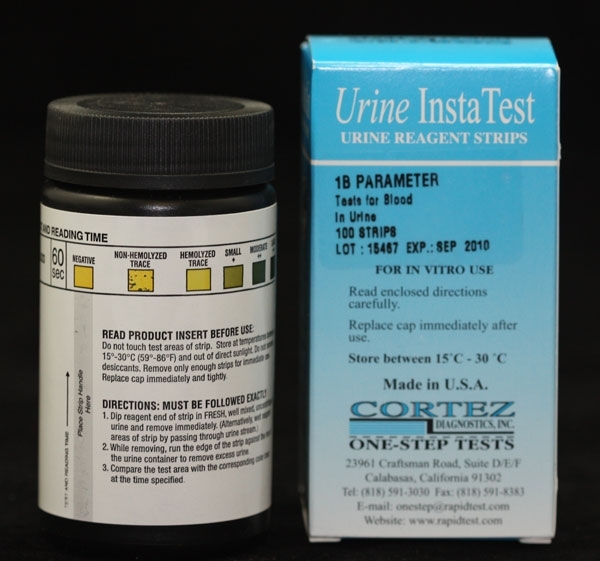 See Urine Reagent Strips for Urinalysis (Urobilinogen-Blood-Ketone-Glucose-Protein-pH-Bilirubin-Nitrite-SG-Leukocytes-Ascorbic Acid) Product Insert for more specific details on preparation, procedures, storage, quality control, and interpretation of test results.